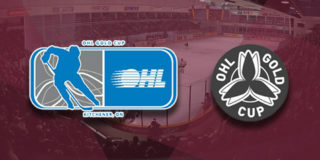 The ninth annual Pink in the Rink game is set for Saturday, February 3 when the Petes take on the Oshawa Generals. 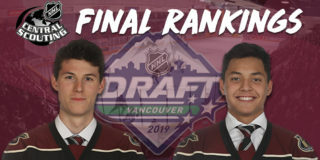 Petes players will wear special Pink in the Rink fundraising sweaters, which will be available for purchase following the game in a live auction. Here it is – the 2018 Pink in the Rink jersey! 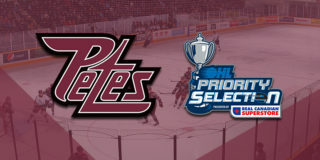 Tomorrow night, your Petes will play in memory and honour of the 300 people whose names appear on the jersey, and all those affected by cancer. The campaign honourary chair people are father-son duo Gary and Pete Dalliday, and teenaged cancer survivor Tori Sotiriadis. The chairs will help raise funds and awareness as the Pink in the Rink campaign looks to raise $60,000, which will bring the nine year campaign total to over $590,000. Click here for more information on the fundraising initiative and to donate. Very limited tickets are available for Saturday night’s game. Tickets can be purchased for the Pink in the Rink game by visiting the PMC Collins Barrow Box Office online, in person, or by phoning (705) 743-3561. 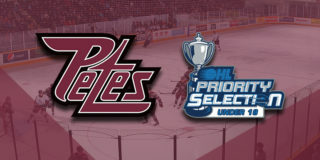 Flex Packs are the most affordable and convenient way to see the Petes in action through the remainder of the season. 10 and 20 packs can be used in any combination at any regular season Petes home game. Call Steve at (705) 743-3681 ext. 263, or send him an email, for more information.